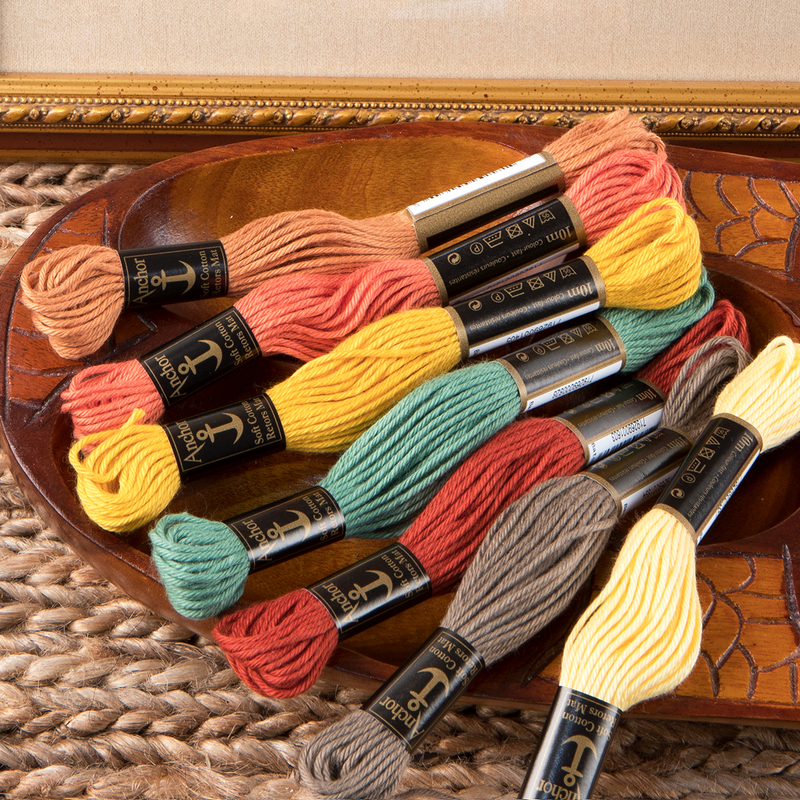 Anchor Soft Embroidery is a thick, extra-long staple 100% Egyptian cotton thread with a matt finish. Most commonly used for canvas work in Southern Europe and also in schools due to its thickness, Anchor Soft Embroidery is made from 5 tightly twisted strands of thread and is available on 10m skeins. The colour range of 255 colours is most effective when used for canvas work or for bold style embroidery designs when stitched onto medium to heavyweight fabrics. This soft, matt finish, colour-fast thread is easy to work with so you can be sure children and beginners will have great fun and produce perfect results every time.